Please read the following completely. EquineSpot.com provides this website as a service. The materials contained on this website are provided for general information and entertainment purposes only and do not constitute legal or other professional advice on any subject matter. EquineSpot.com does not accept any responsibility for any loss which may arise from reliance on information contained on this site. Some links within this website may lead to other websites, including those operated and maintained by third parties. EquineSpot.com includes these links solely as a convenience to you and the presence of such a link does not imply a responsibility for the linked site or an endorsement of the linked site, its operator, or its contents (exceptions may apply). The user of EquineSpot.com hereby acknowledges the fact that there are inherent risks in participating in equine or equestrian activities. Each person engaged in recreational equestrian or equestrian-related activities shall assume the risk and legal responsibility of any injury to person(s) or property arising out of the hazards inherent in equestrian sports or activities. In no way will EquineSpot.com accept any liability for any injury, loss, or other consequence for any person’s participation in equestrian activities, nor will the author(s), publisher and owner of EquineSpot.com assume any responsibility for the use, misuse, or reliance upon any information provided by EquineSpot.com. 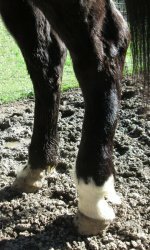 The information on EquineSpot.com is not intended to diagnose or prescribe any medical condition or treatment. If used, this information should be used in cooperation with your veterinarian, doctor or other health care practitioner to solve your animal or personal health problems. In the event you use the information contained on EquineSpot.com yourself, you are prescribing for yourself or your livestock, which is your right, but the author(s), publisher and owner of EquineSpot.com assume no responsibility for you, your condition, or the outcomes of your self-treatment. Do not follow any advice or practice that you do not agree with. The Federal Trade Commission requires disclosure of any relationship between a product manufacturer or service provider and a website when that site posts articles about or makes referrals to a product or service. 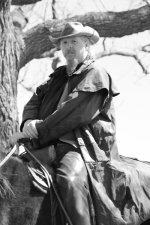 EquineSpot.com is NOT paid to do reviews. If a merchant provides a product or service for evaluation, the author(s) and publisher of EquineSpot.com provides their honest assessment of the product or service without regard for potential sales of that product or service. EquineSpot.com does, however, accept paid advertising. Ads may be for businesses, products, services or individuals. Appearance of ads, sponsorships, or directory listings does not imply endorsement, warranty, or guarantee by EquineSpot.com or any of its author(s), publisher or owner. EquineSpot.com contains, both within the text of the body copy and in separate, stand-alone display, links to other websites that may offer products and/or services. If you click on those links and/or purchase products or services through those links, EquineSpot.com may receive a commission on that purchase. EquineSpot.com is a participant in the Amazon Services LLC Associates Program, an affiliate advertising program designed to provide a means for sites to earn advertising fees by advertising and linking to amazon.com. All materials on EquineSpot.com, wholly or in part, are protected by copyright under international conventions. No part of this site may be copied, reproduced, reformatted, republished, retransmitted, sold, placed in permanent storage, or used in any way, on- or offline, without the prior written consent of EquineSpot.com except that permission is given for the downloading and temporary storage of one or more of these pages for the purpose of viewing on a personal computer.